Blogger wouldn’t act right this morning so I’m here in the evening. The next to last Christmas quilt! I thought I only had this one but forgot about another one. It’s on the machine ready to work on tomorrow…..maybe. I’ve been working on this one. I thought I was only going to work on it for a few minutes this morning but really got into it and couldn’t stop. I finished the lady and almost finished the man. I couldn’t wait to start auditioning backgrounds. I kind of like this one. 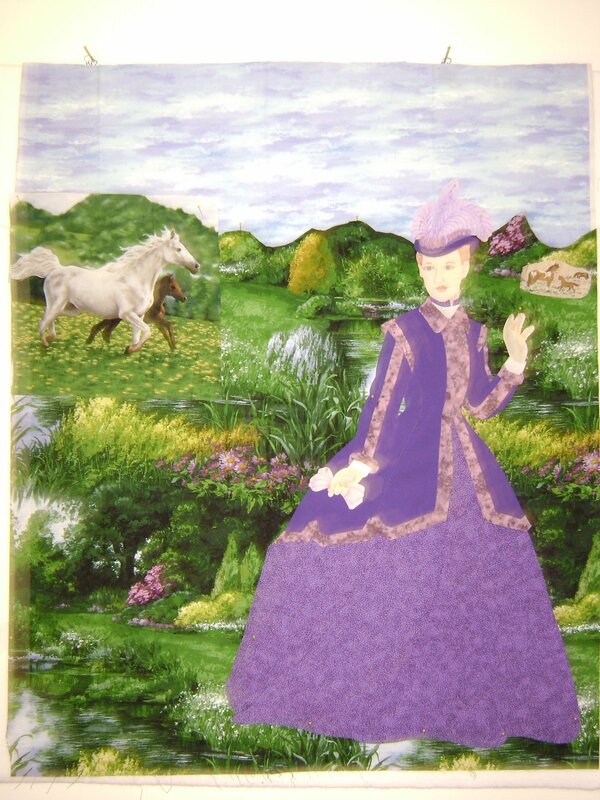 The background fabric was a couple of remnant scraps I picked up a few weeks ago at the LQS. The top edge had the edge cut out like you see it. Hmmm….works anyway. The sky is a left over scrap from another art quilt I’ve been working on for the guild challenge. Can’t show a picture of it until April. It’s against the rules of the guild. What do you think? Does the background overpower the lady? It won’t be so ‘busy’ when I get the man in there too. Is it too dark for a background? I’ve been looking for a pebbles fabric to use for the path the people are walking on. Which is the very reason I hate being disorganized. The quilt gremlins play havoc with my fabrics when its not all contained in an orderly manner. I may come across something different for a background (as I sort fabrics) but I really think this will be the one I choose. I’ll live with it a couple of days to think about it. I was asked what different types quilts I make. Actually, I can’t decide which type quilt I like best so I make them all. I make clothing memory quilts for the family of someone who passed away. 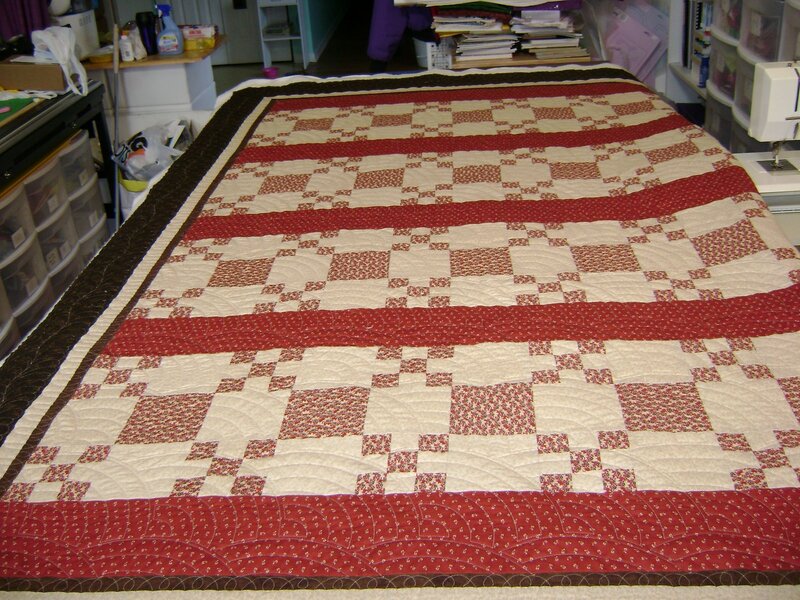 I make traditional quilts. I make t-shirt quilts. 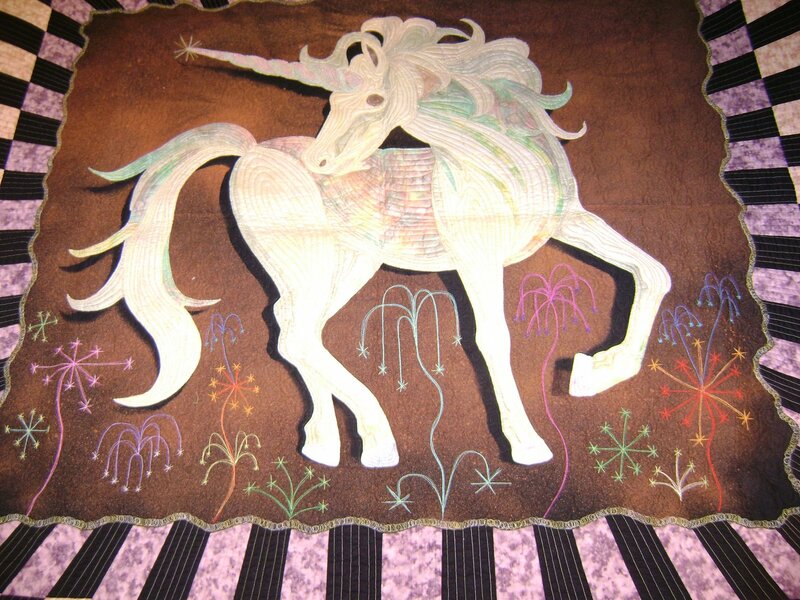 And I make art quilts like the one above. 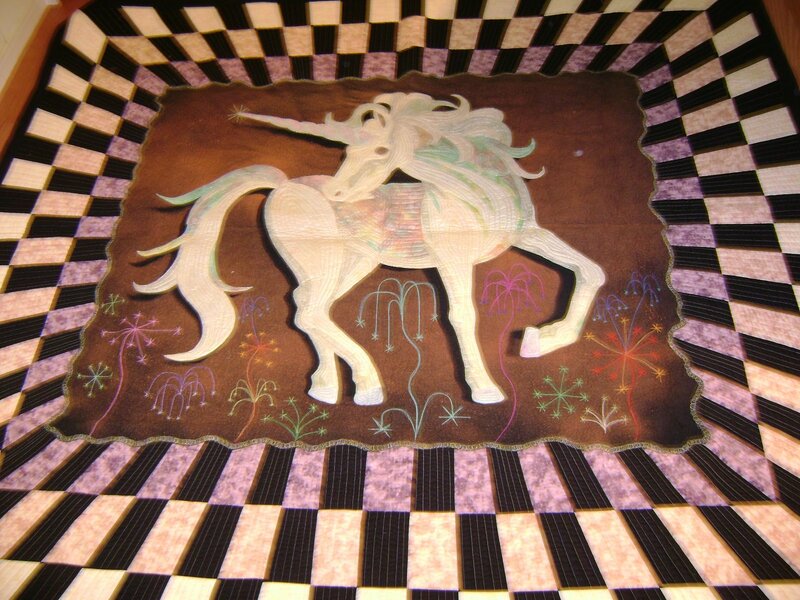 This is a quilt that started out as just an experiment and ended up being the reason I started doing art quilts. It’s my very first art quilt. I plan to make another one for my granddaughter. This one is never leaving me. It’s my good luck charm. My daughter will inherit it. So while you enjoy the eye candy, I’m going to make a few phone calls before bed. 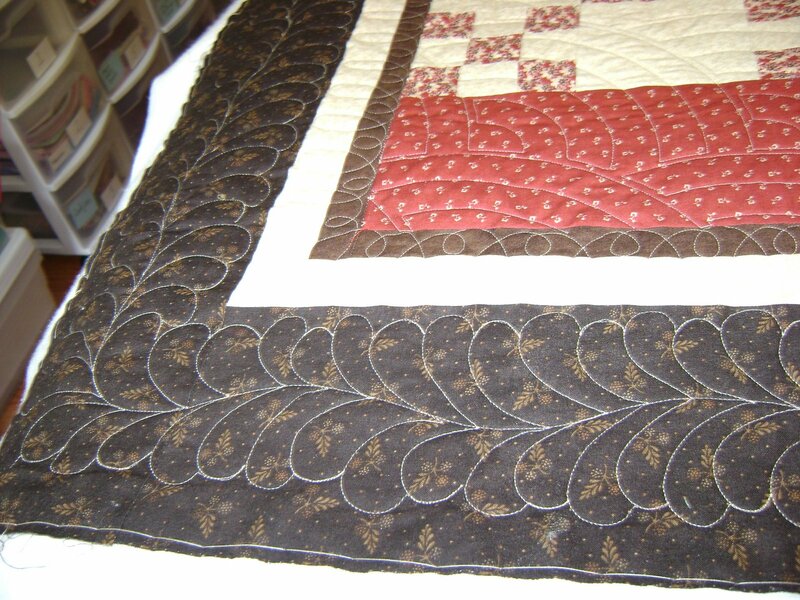 This entry was posted on December 5, 2007 by Anita in Journey 2007, QUILTS - CUSTOMER.